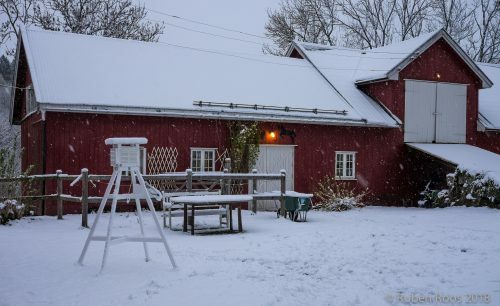 Berg Gård – Årungen weather station features a home-made stevenson screen and a Netatmo sensors. When the station’s 10W solar panel receives full sun, a 80 mm pc-fan ensures the screen is ventilated. The station is located 60° 26' 6.7" N, 11° 4' 1.6" E at 53 m a.s.l. in rural Akershus, Norway.